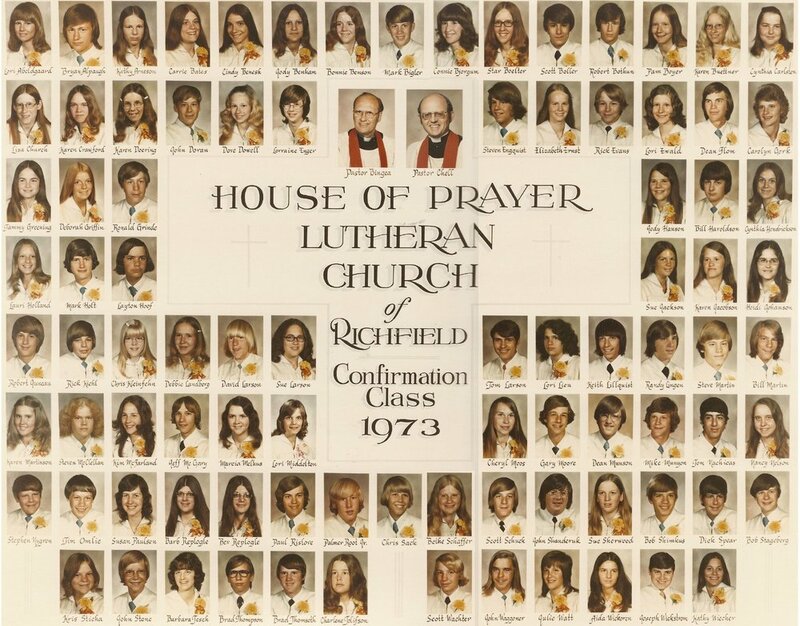 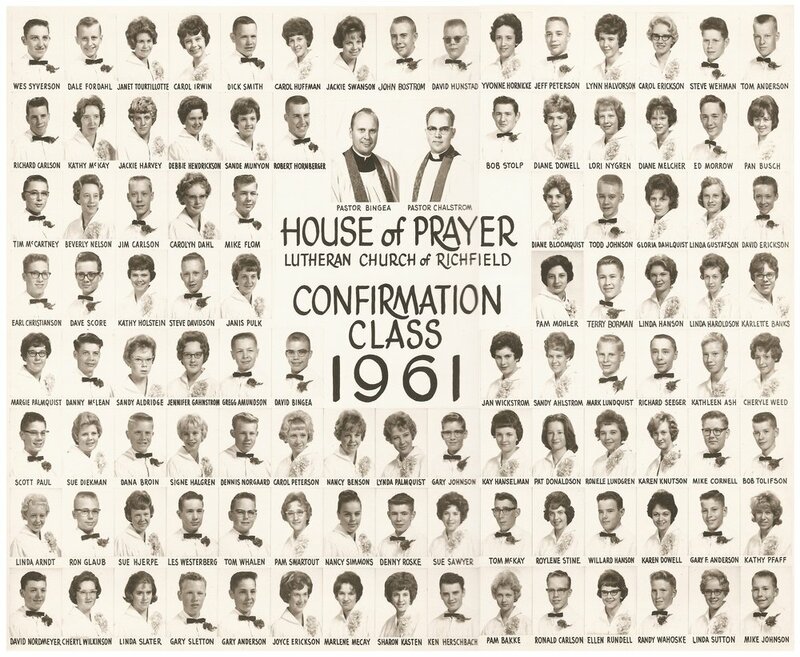 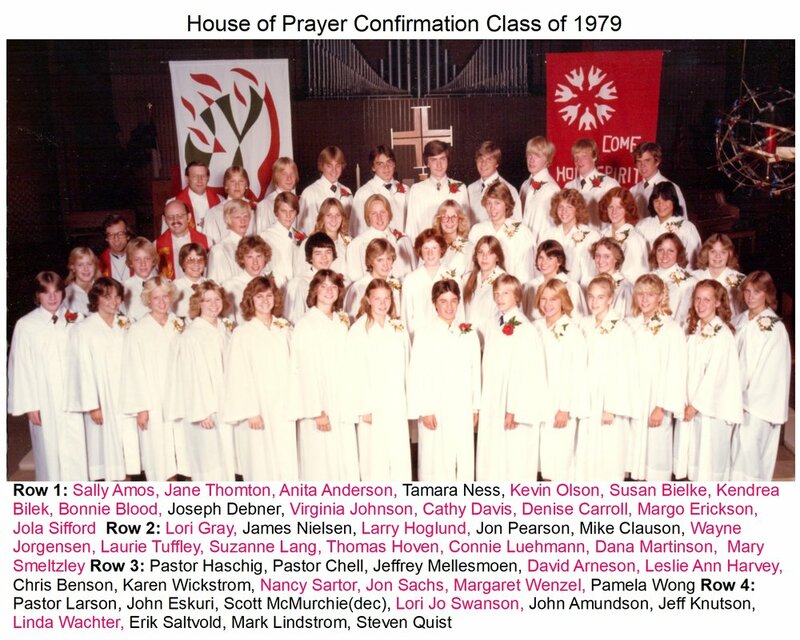 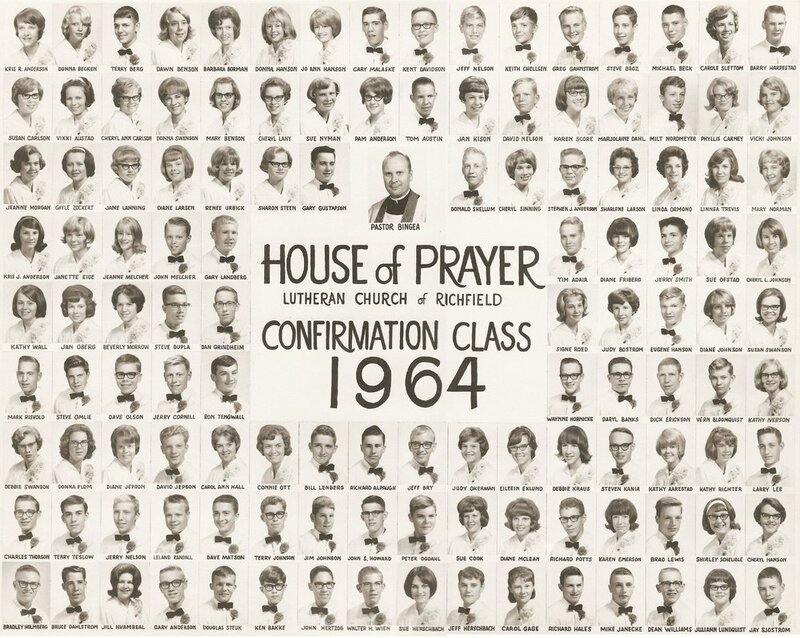 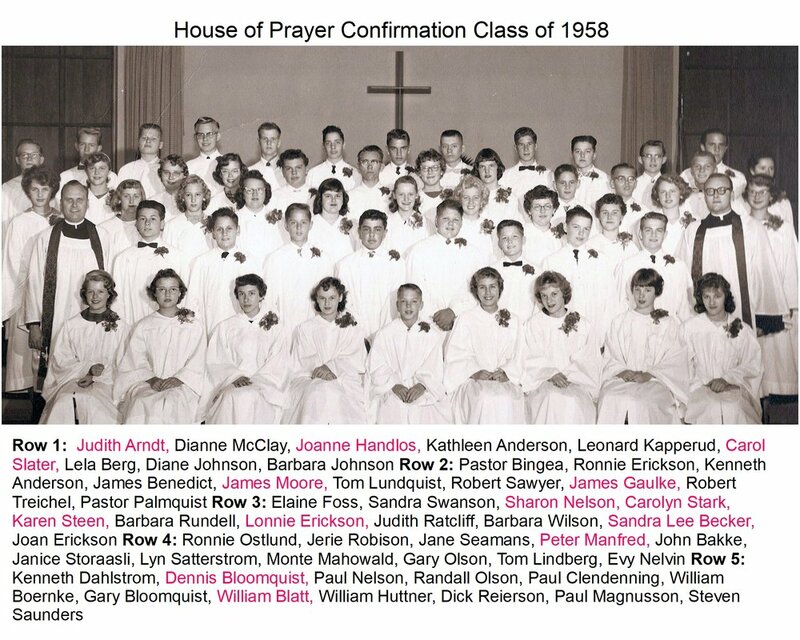 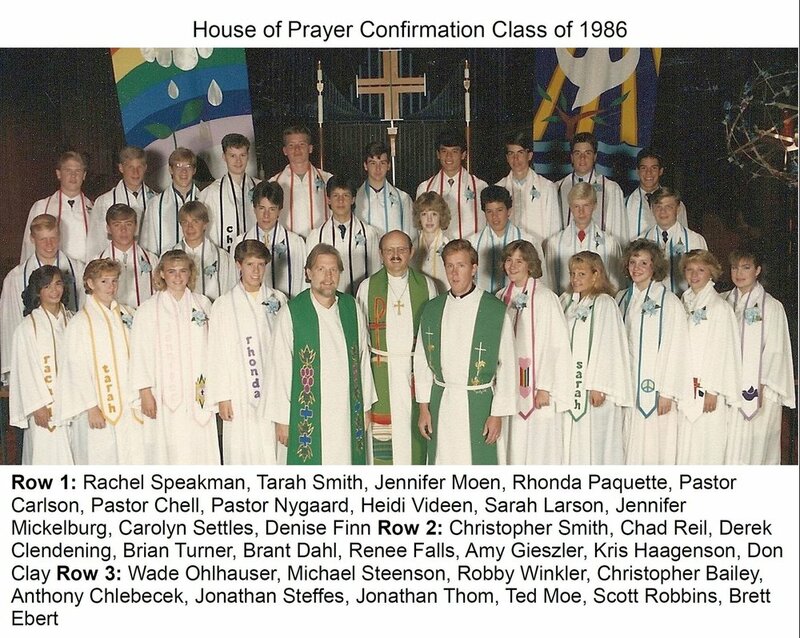 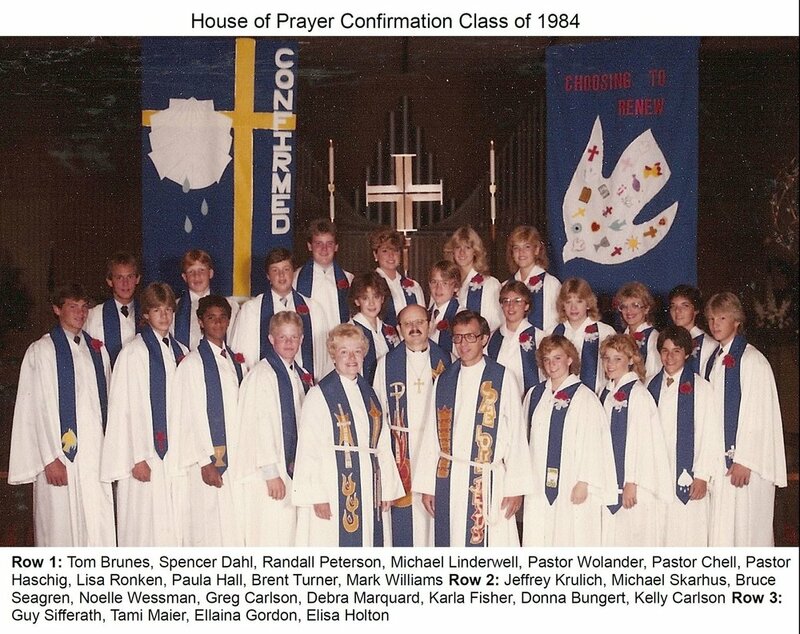 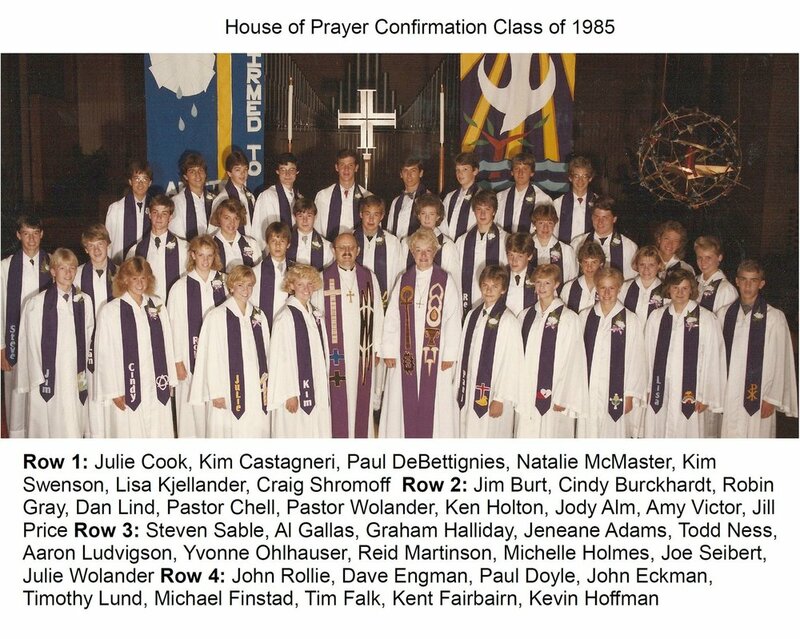 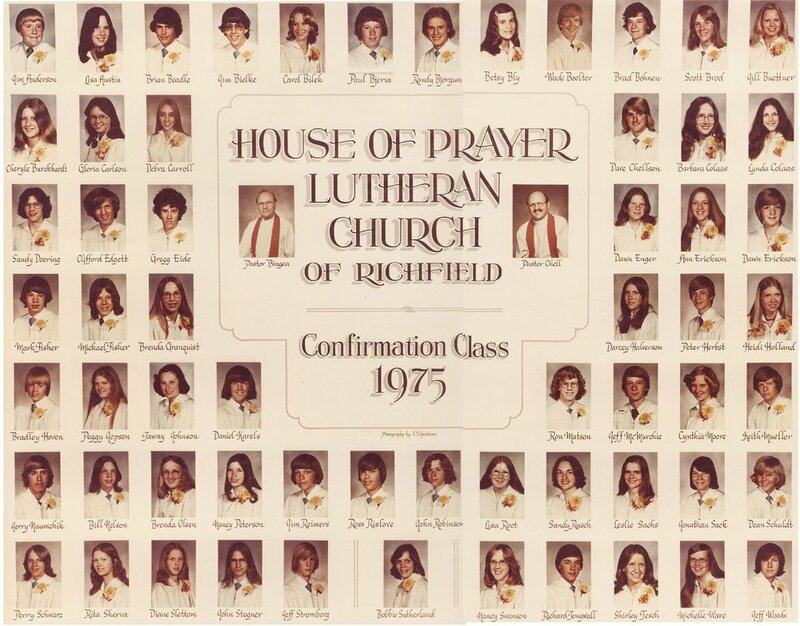 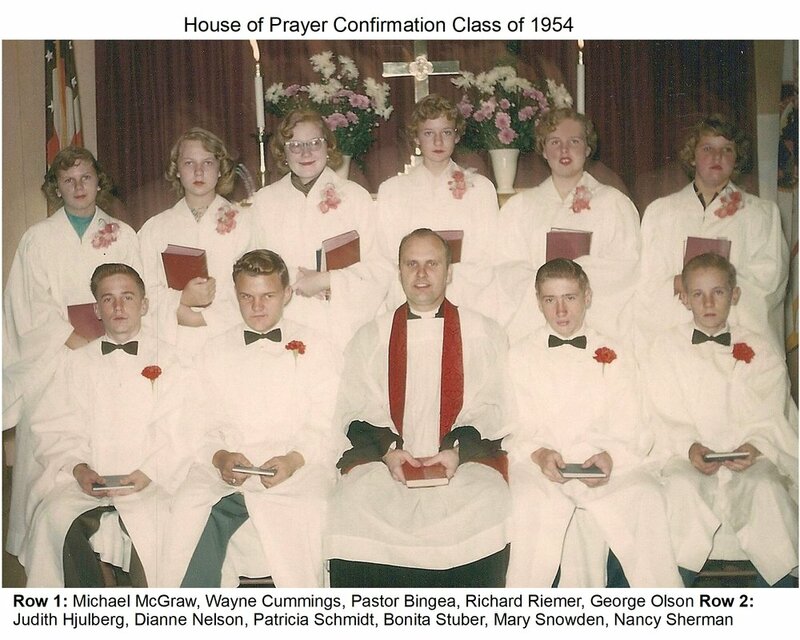 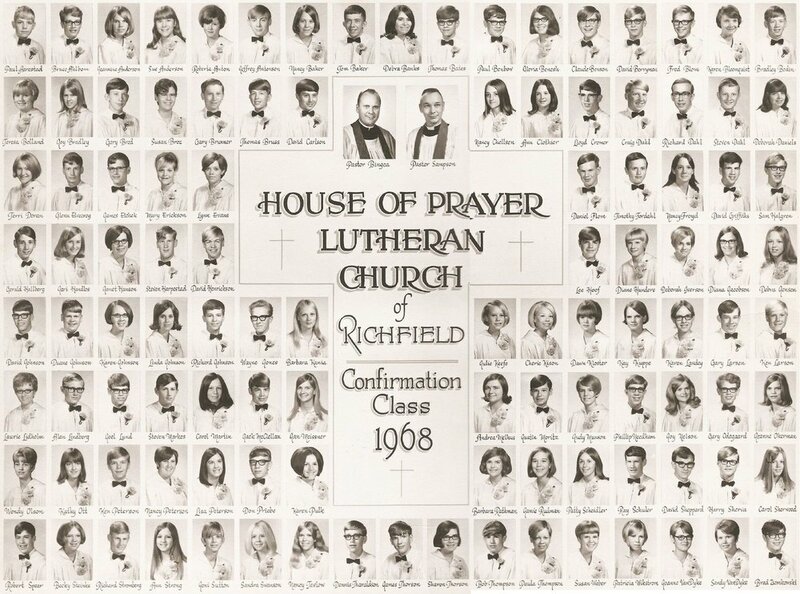 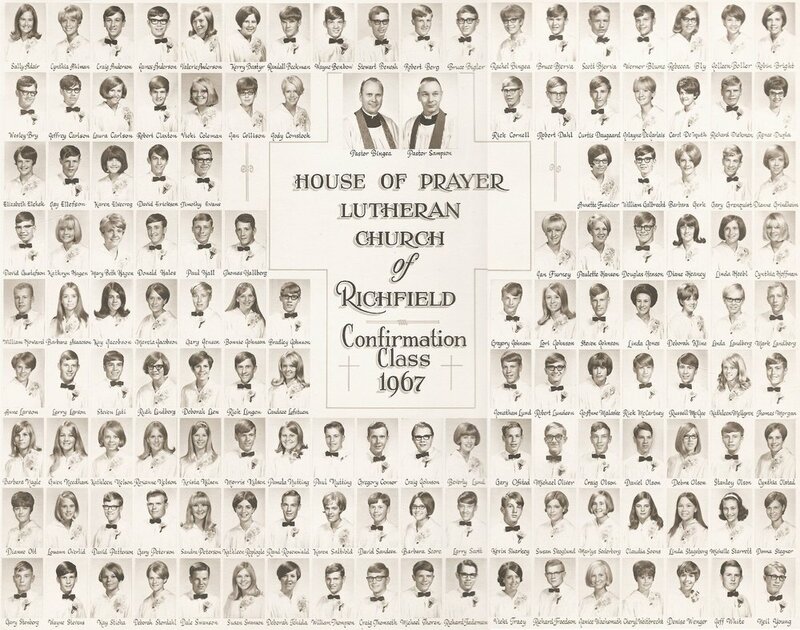 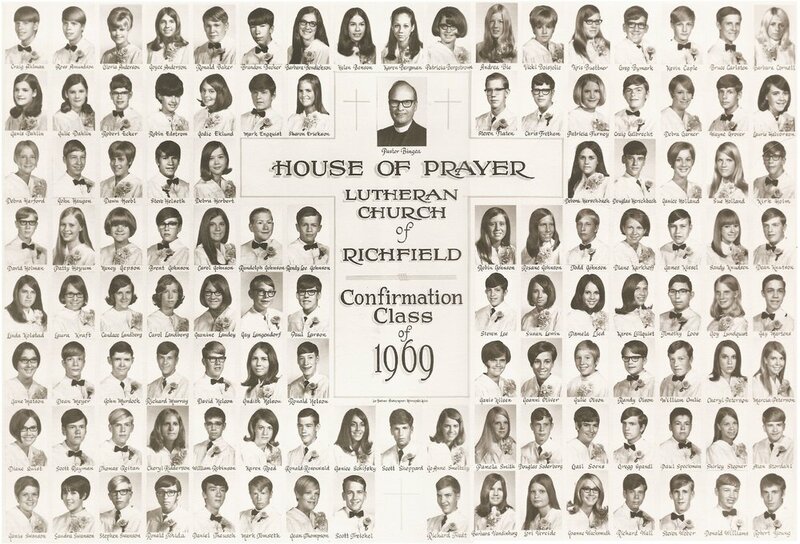 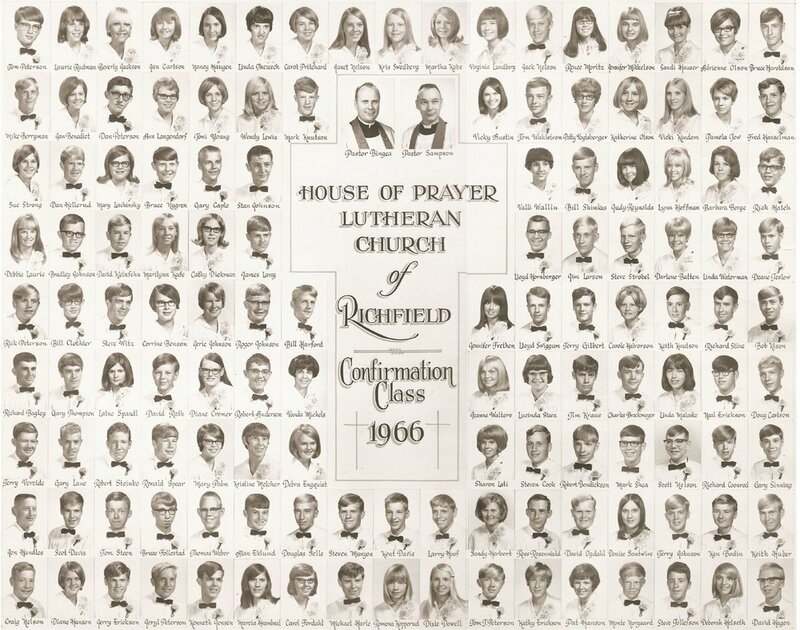 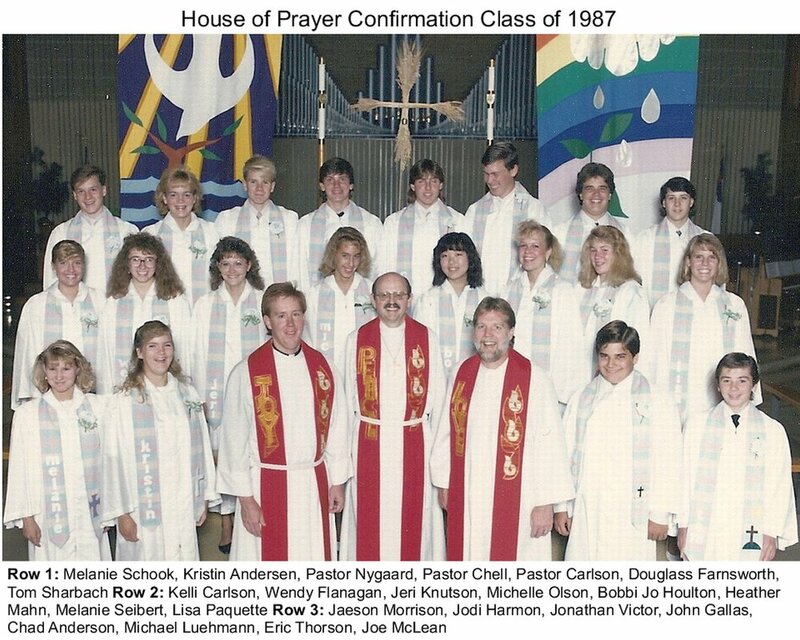 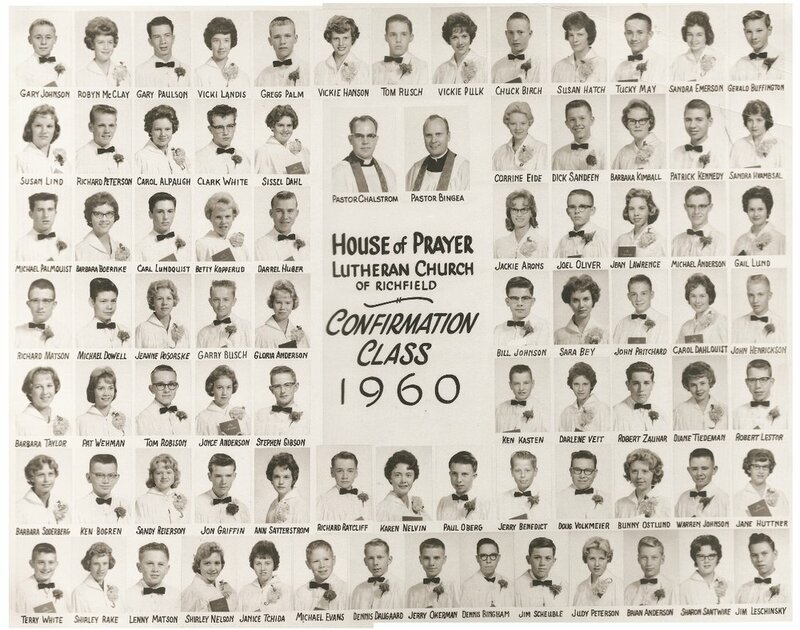 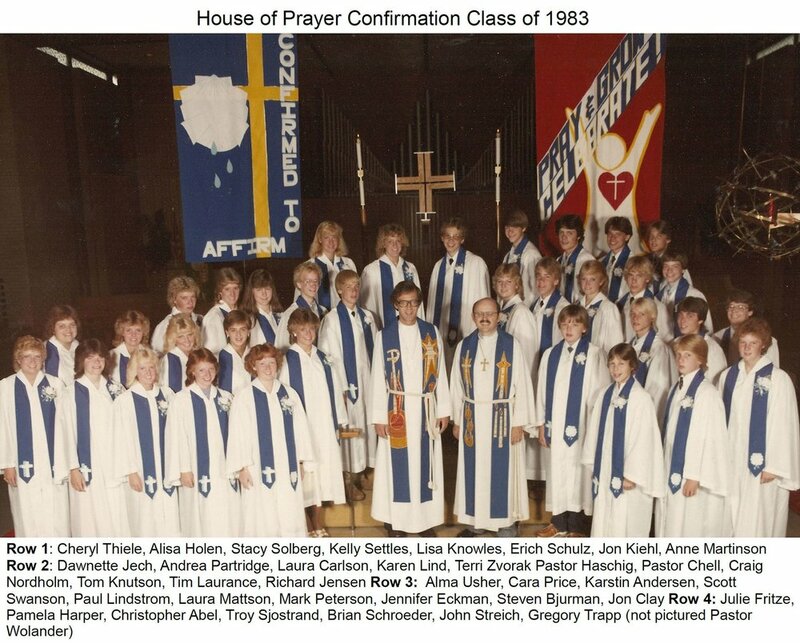 In 1954, House of Prayer held the rite of Confirmation for it’s first class of 10 students. 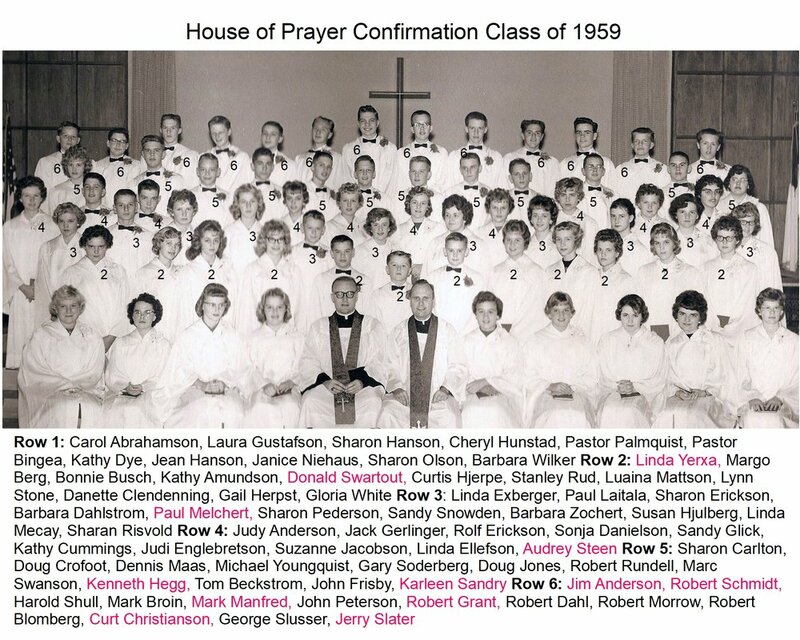 Class sizes grew quickly, peeking in 1970 with 136 students. 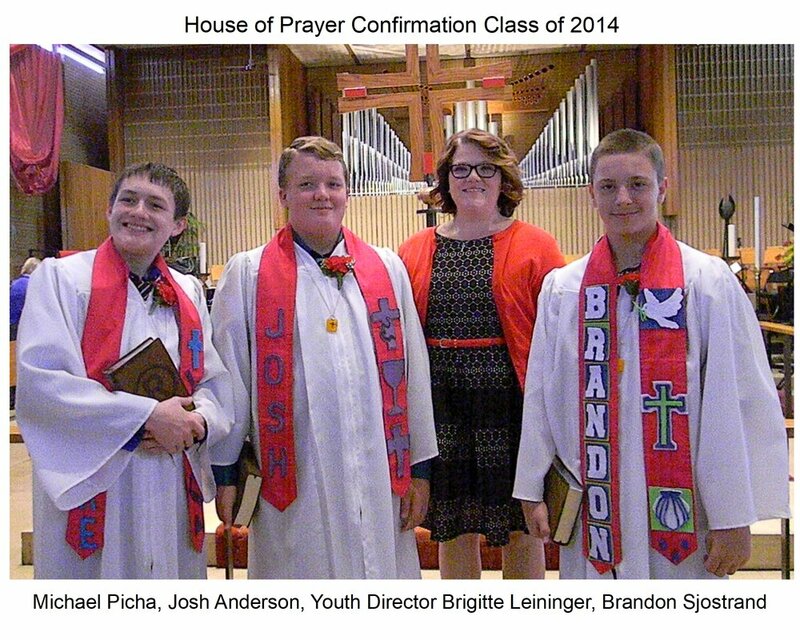 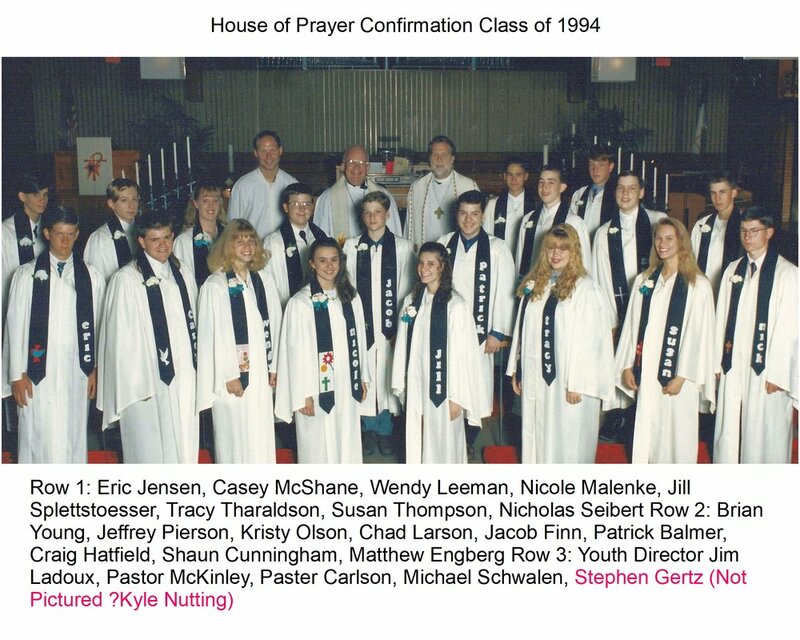 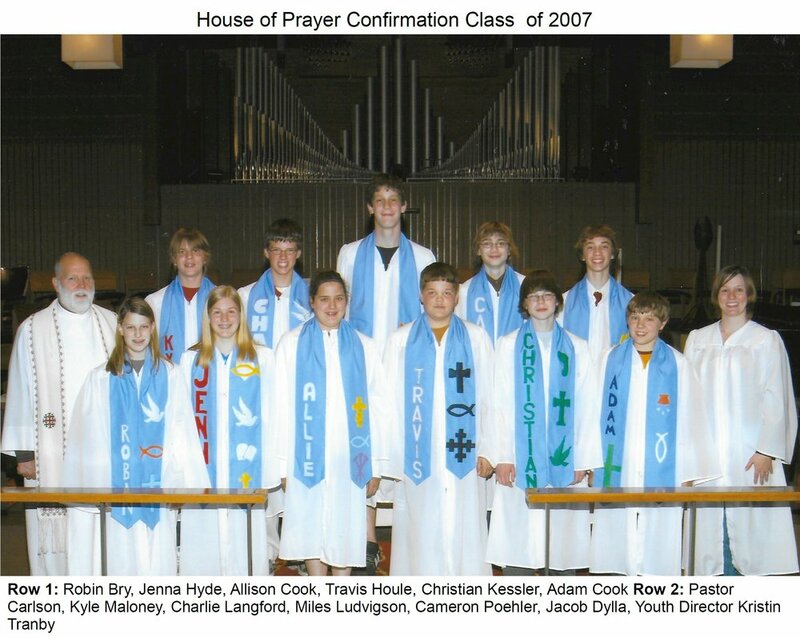 Over the years, House of Prayer has confirmed more than 2,700 students. 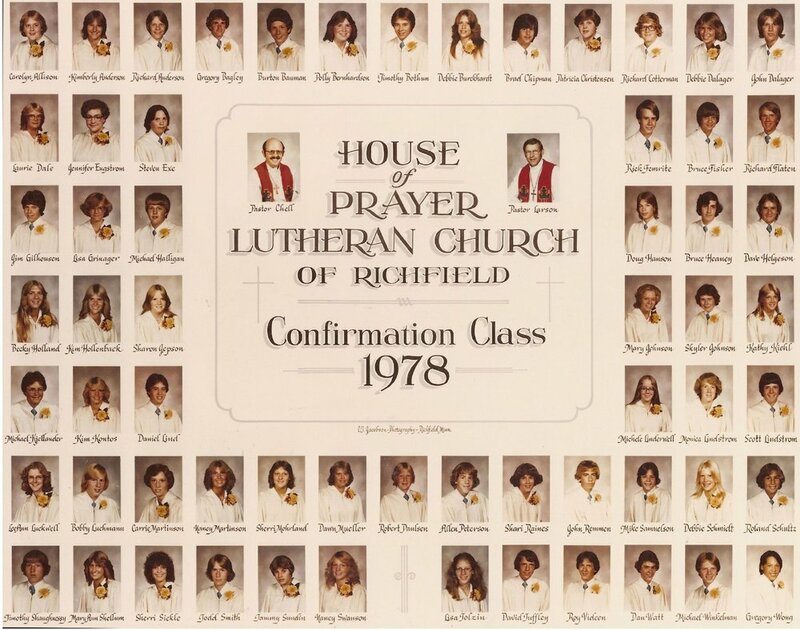 Photos of all classes and the names of all the students in each class have been collected, but we need your help to complete the project. 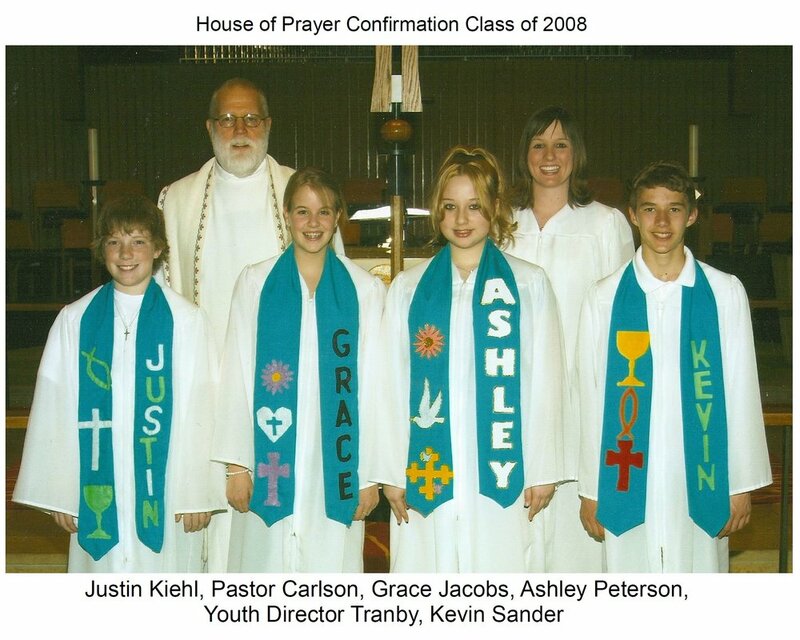 We believe the names in black font in the caption under each picture are in the correct location. 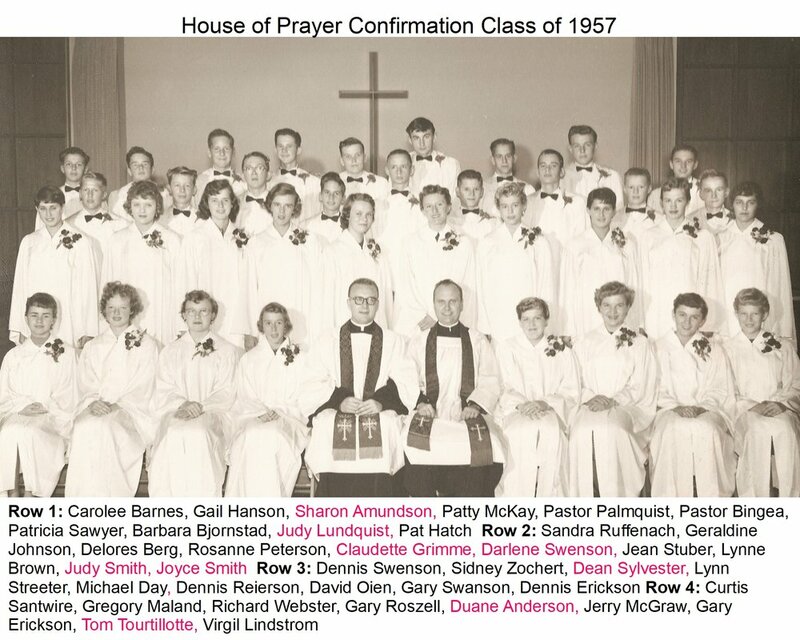 However, the names in red font still need to be moved to the correct location. 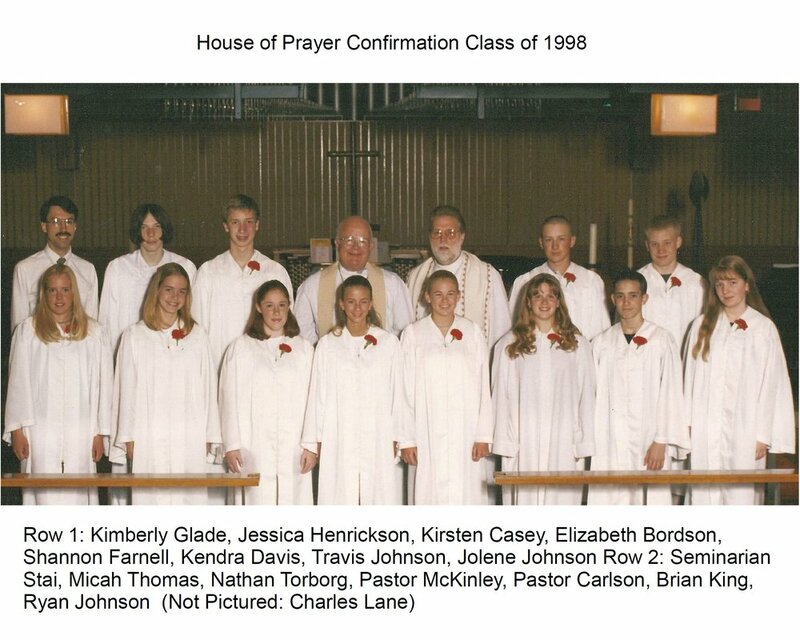 If you can identify any students whose name appears in red, please provide the year, name, location in the photo (e.g. 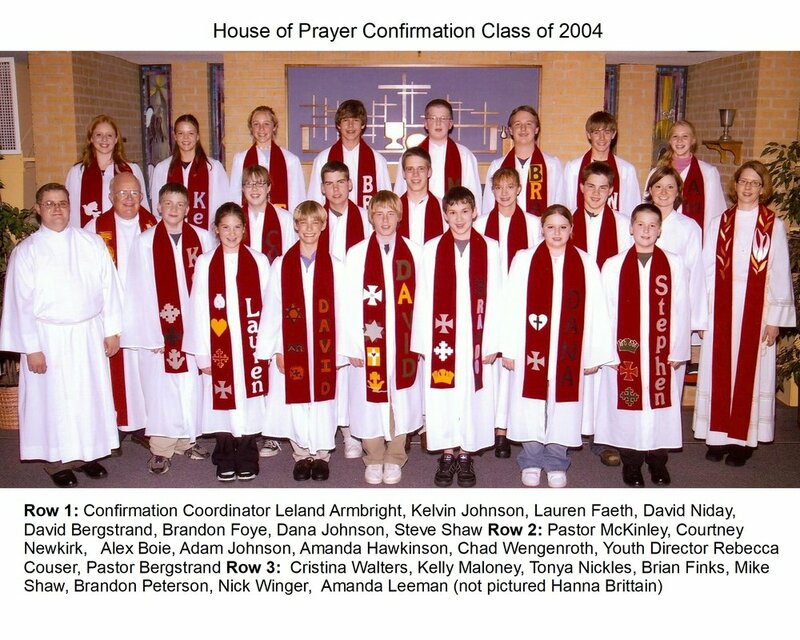 row 2 position 5) to Mike Murphy (hopconfirm@gmail.com) or leave the information in the Church Office (attention: Mike Murphy). 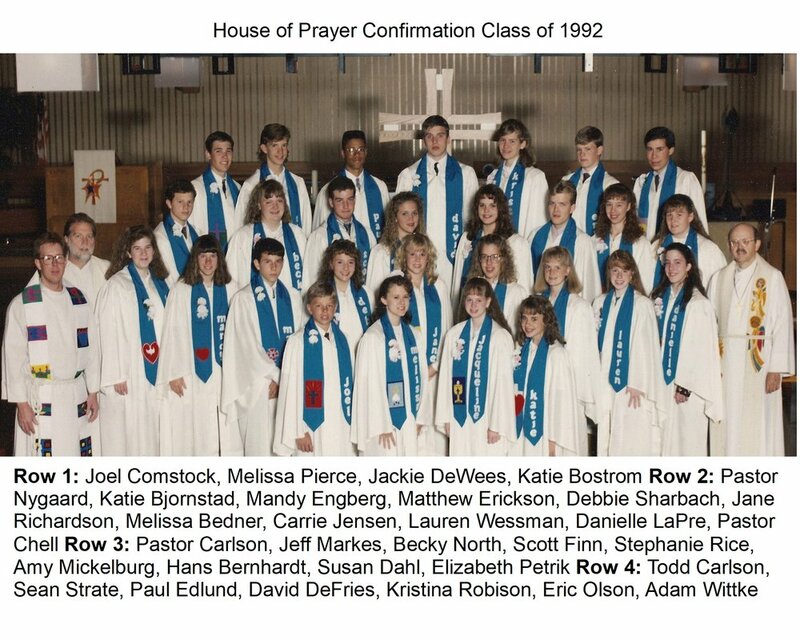 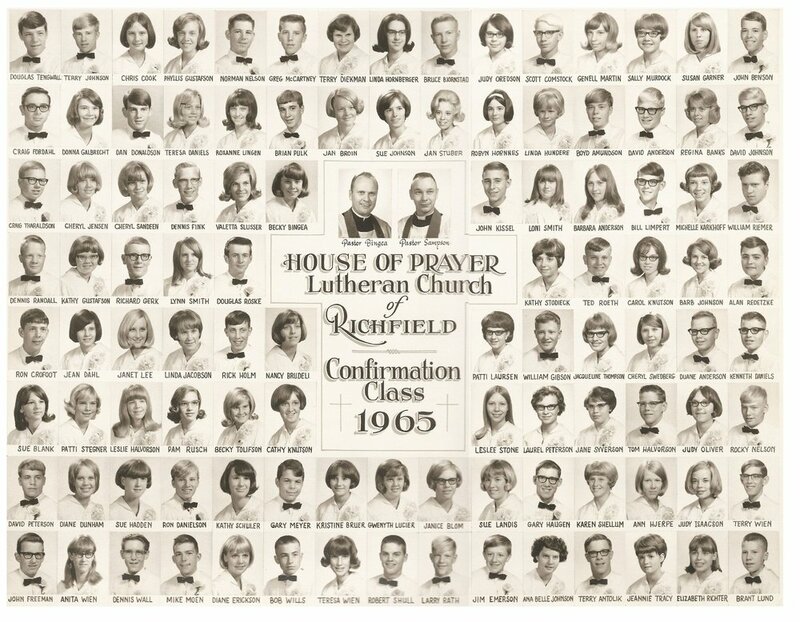 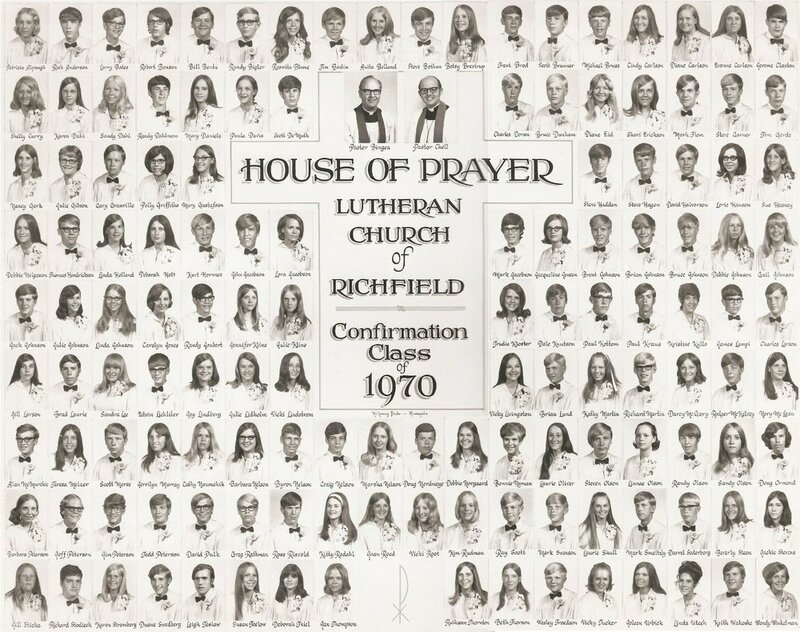 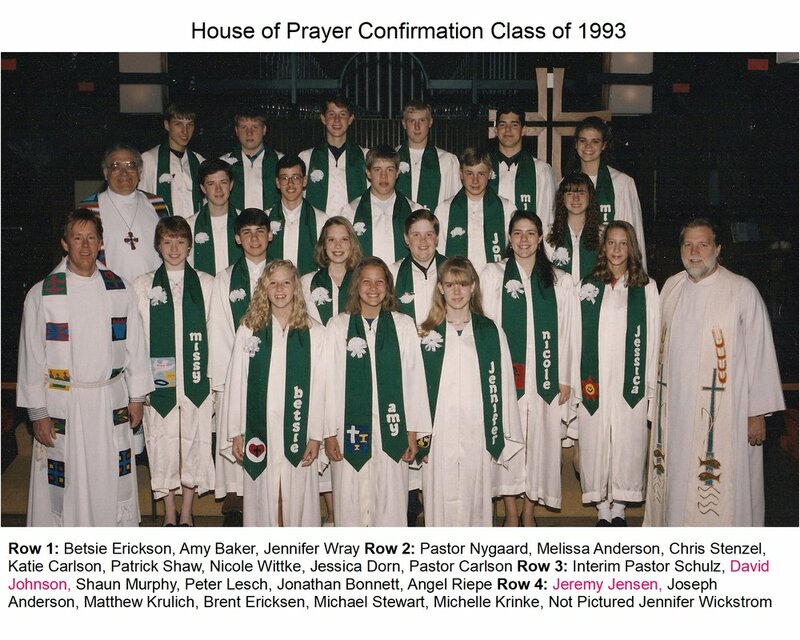 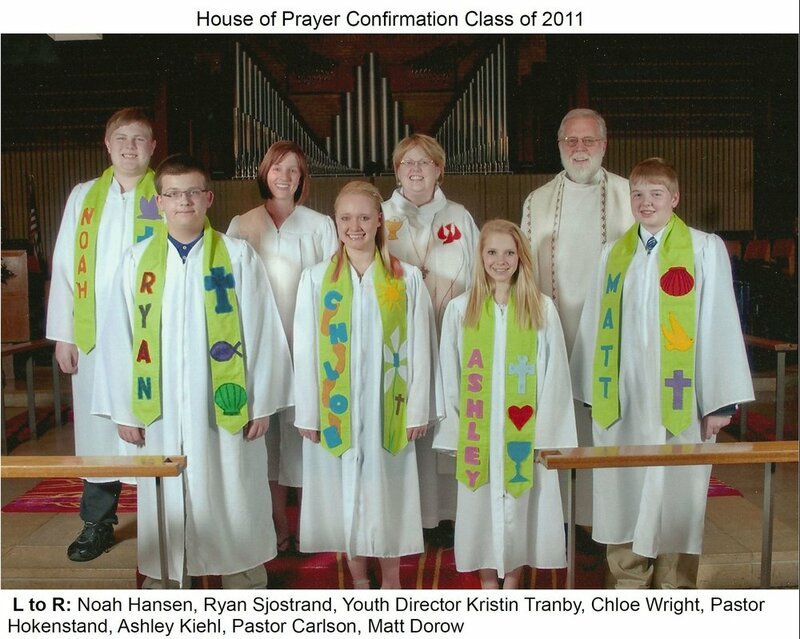 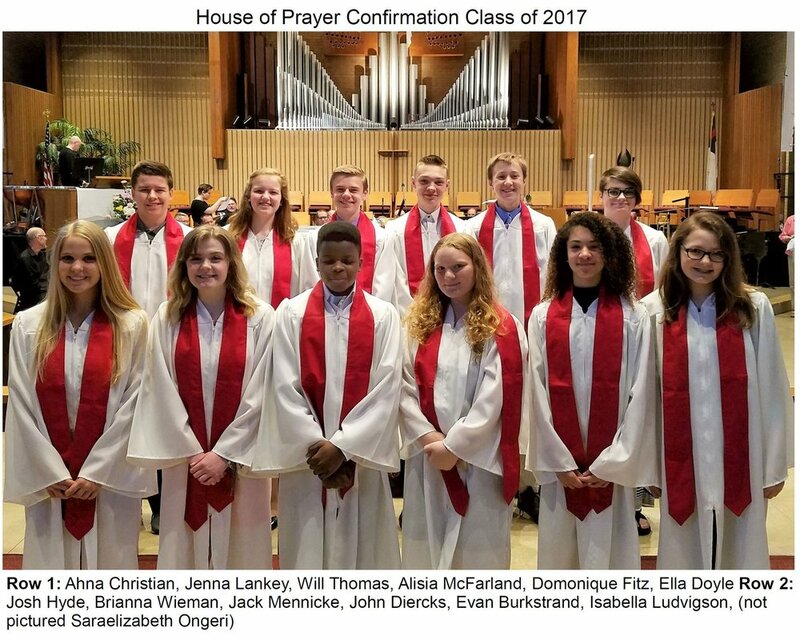 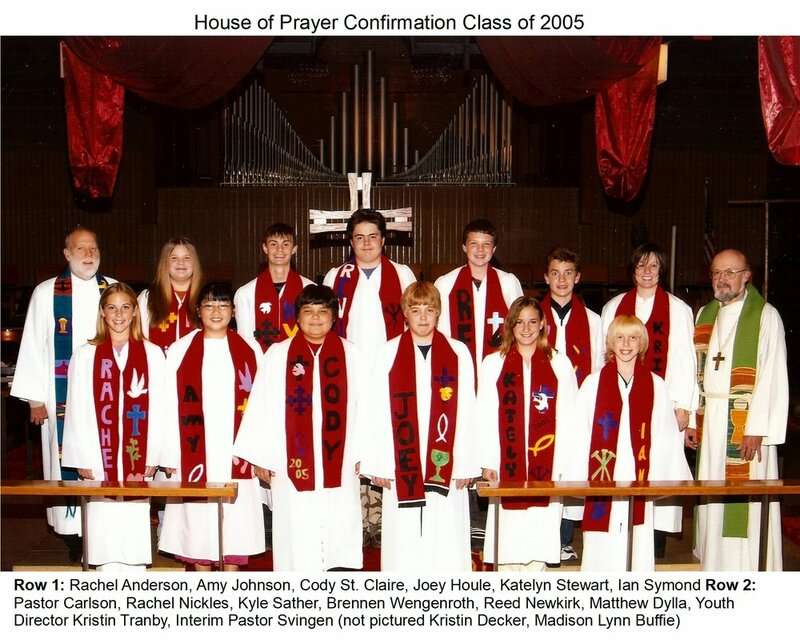 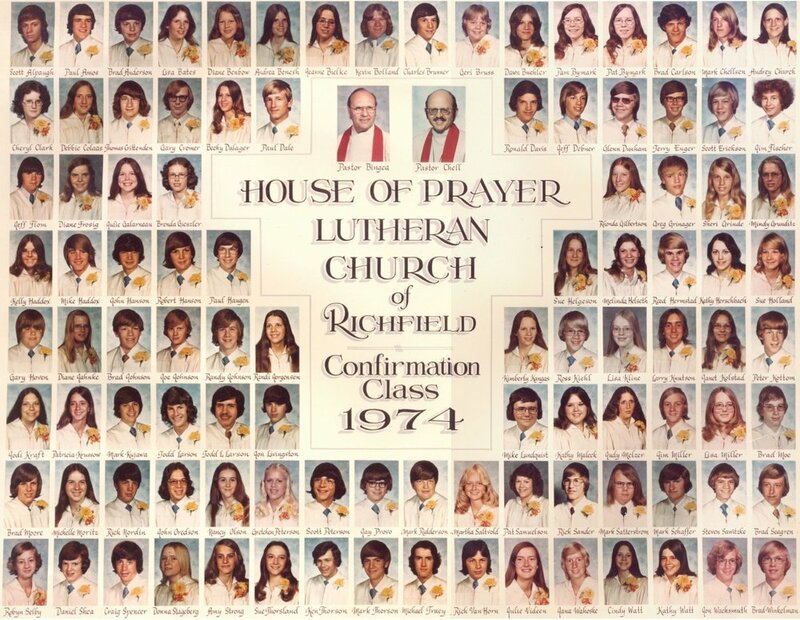 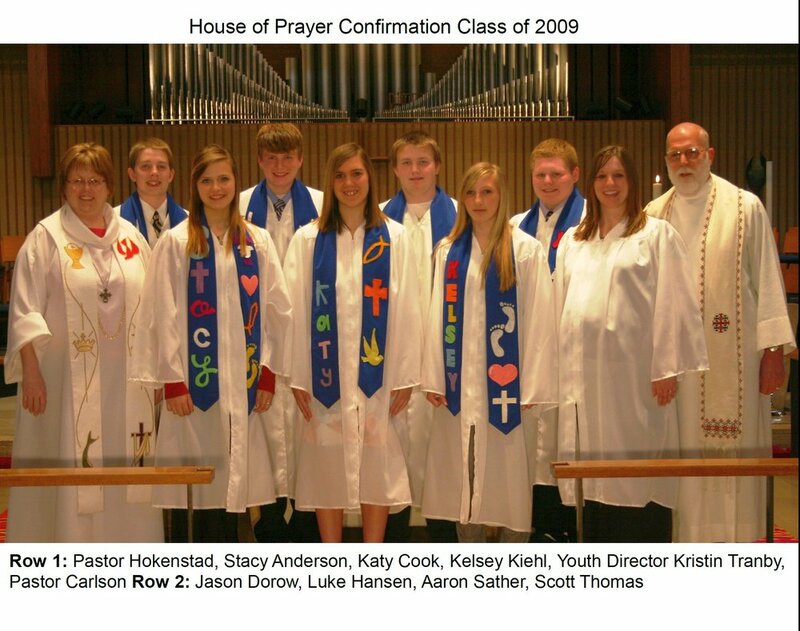 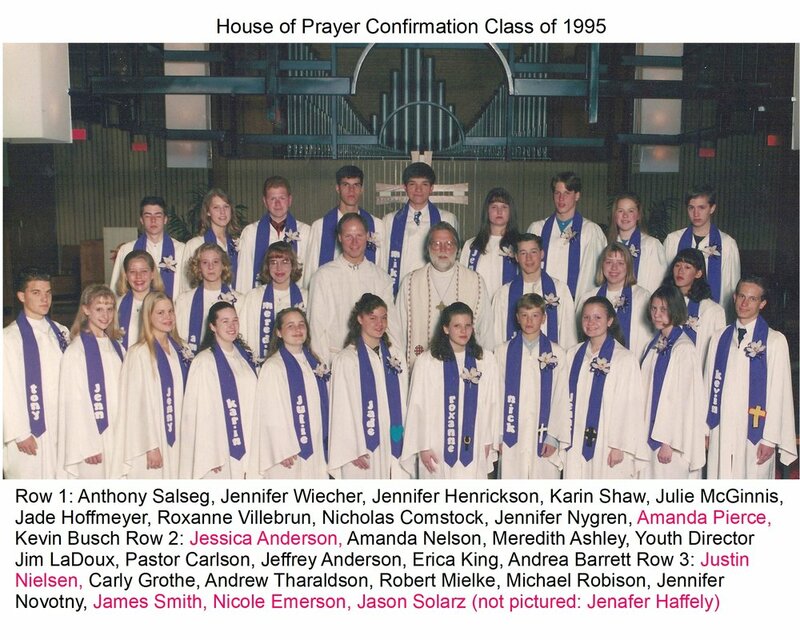 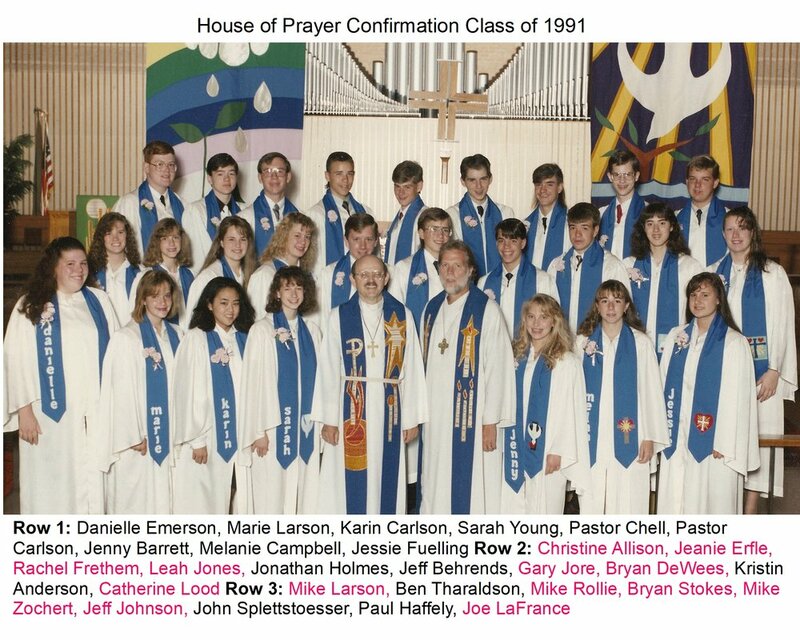 Eventually, we will also try to collect contact information for as many of these confirmands as possible to say “hello from House of Prayer.” If you have contact information for any of these former confirmands that can be shared, we’ll gladly accept that as well.